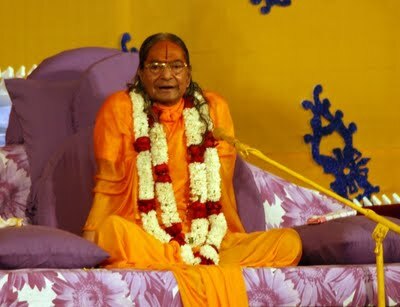 In order to attain God's grace, one must surrender wholeheartedly to Him. Even in the world we see that a newborn child is completely surrendered to its mother, and therefore, the mother assumes full responsibility of the child. As the child starts doing work for himself, the mother starts lessening her responsibility towards the child. To surrender means to offer the mind to God. In the Geeta, Shri Krishna says, "Arjun! Offer Me your mind and intellect." Speaking fancy words in Sanskrit does not constitute self-surrender to God, nor does the performance of rites, rituals and ceremonies make one surrendered to God. The mind must focus on God. However, it is extremely attached to the material world. Since we have only one mind, this poses a problem. We need to examine the mind, understand it and then divert it towards God.